Bumpers are often the first part of your car, truck, or SUV to absorb contact in a collision. 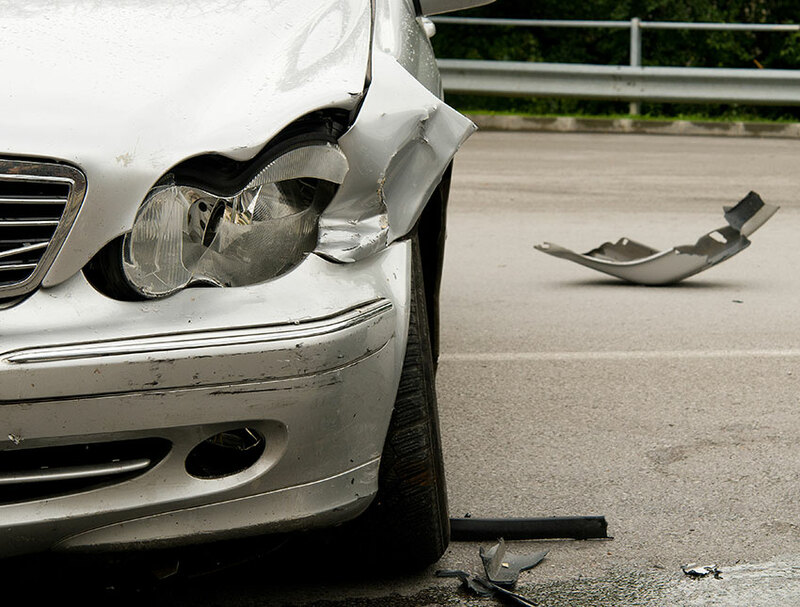 For your safety, it’s pivotal that your vehicle receives professional, quality bumper care after an accident. Without it, you and your passengers could be at risk on the road. At Tucker’s Collision Center, we provide both the best tools and the right team to get your bumper fixed and your car back in proper driving condition. Our experts understand that different makes and models come with their own unique bumpers, all requiring a specific kind of care. We make sure our trained professionals are knowledgeable and equipped to repair any bumper that rolls through our shop doors. Also known as rigid plastics. Bumpers made from this type of material are created by injecting two different polymer materials together, permanently cross-linking to each other in a mold. This material provides high chemical and heat resistance. These bumpers are highly durable. Once damaged, thermoset bumpers require specific knowledge to repair properly. Thermoset bumpers cannot be remolded or reshaped, and are difficult to surface finish. Also known as semi-rigid plastics. This material is easily melted down and remolded/reshaped. While this material is typically more expensive than thermoset plastic, it’s more eco-friendly and more easily repaired or recycled. Bumpers made from this material may melt under extreme heat conditions. Whether your bumper is made from rigid plastic or semi-rigid plastic, our techs are trained to repair it with precision. Whether it’s a thermoplastic or thermoset bumper, our people will know what to do. We also know when a bumper needs to be replaced, and when it can be repaired. Many plastic bumper parts, such as bumper covers, can be fixed after an accident. Our experts meticulously perform the right repair for your bumper, dependent on the bumper type and the severity of damage. We will recondition the material accordingly to erase any sign of dents, scratches, scrapes, or other damage. By saving your bumper, our techs will also be able to blend and smooth the damaged paint more effectively, making it easier and more affordable to get your car looking the way it did before your accident happened. If your bumper has been damaged, your safety on the road has been compromised. Come see us at Tucker’s Collision Center today for repairs. We’ll have you out driving again in no time!